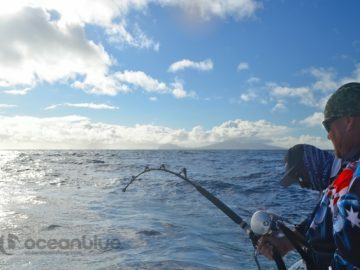 Our third expedition to the remote islands was nothing short of spectacular. 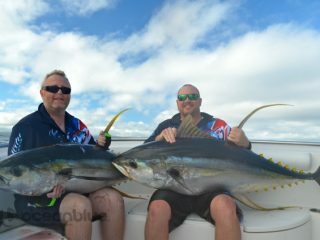 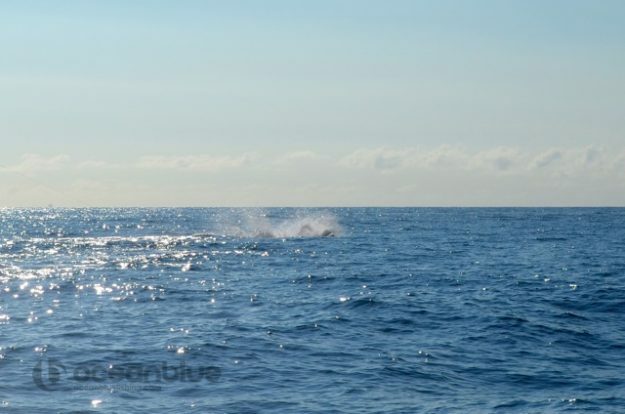 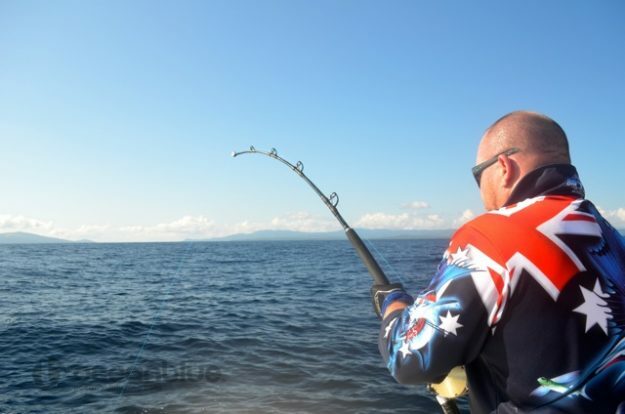 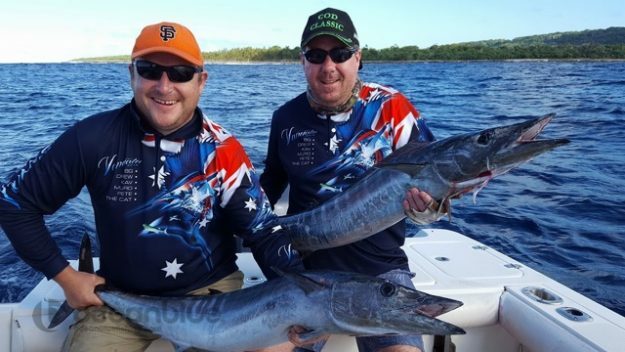 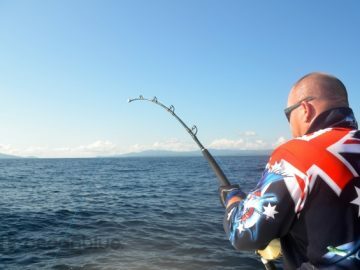 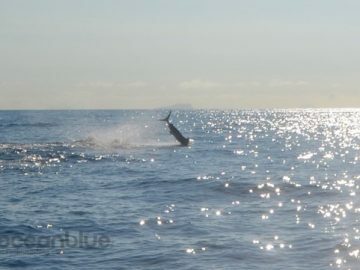 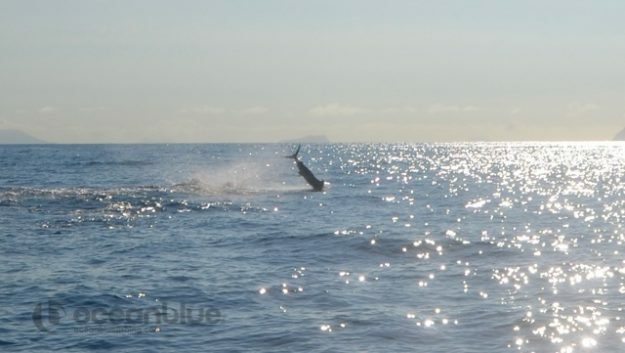 The gods were certainly with us during the trip, providing the 8 lucky anglers with perfect weather and hot fishing. 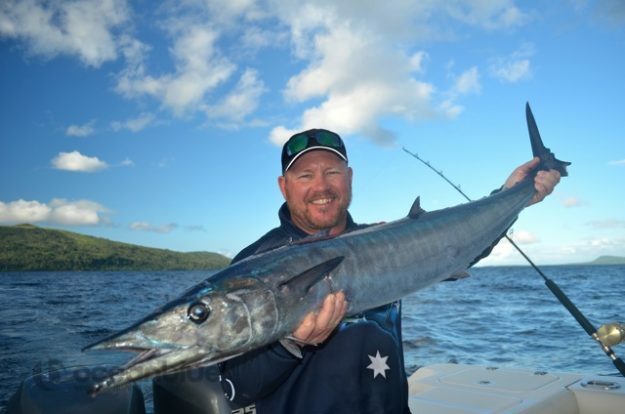 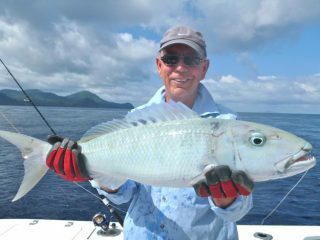 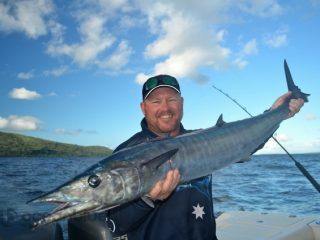 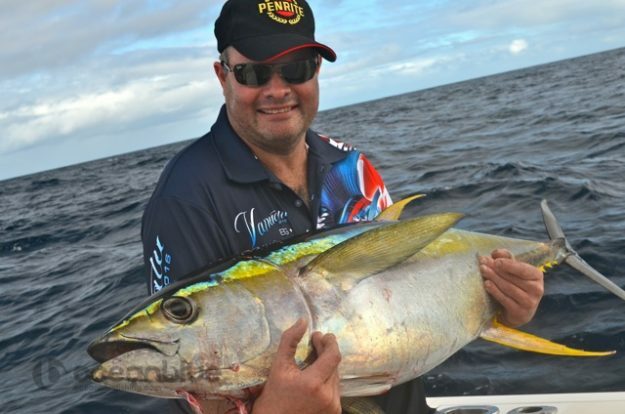 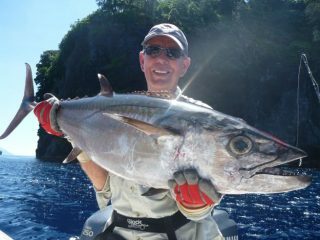 Fishing World’s David Green was booked onto the trip having fished with us a number of times back in the 90’s. 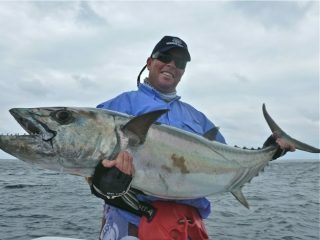 David teamed up with old friend, our guide Eric Festa for a week of popping and jigging. 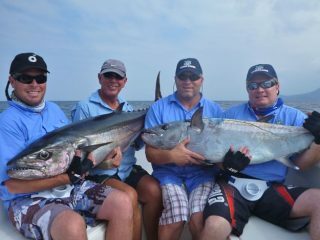 The team of 8 anglers, certainly experienced some bone jarring action. 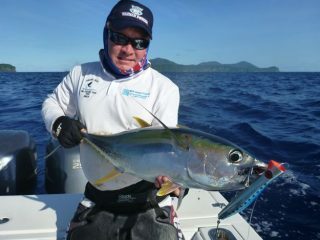 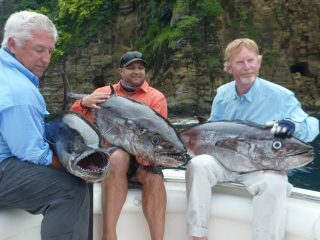 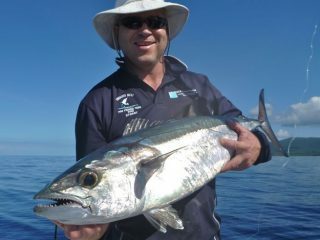 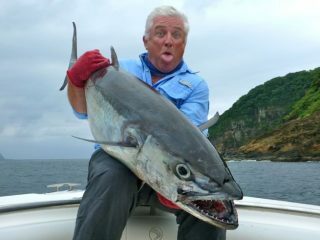 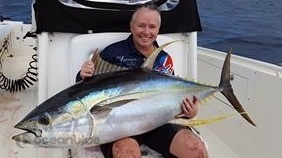 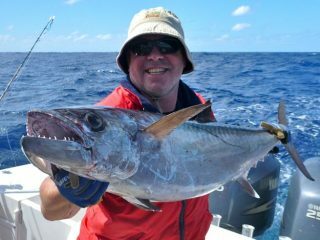 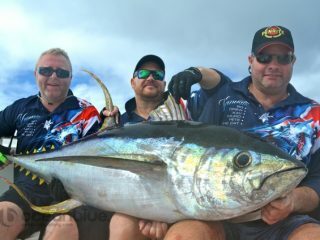 Dogtooth tuna were eating anything put in front of them, from poppers, stick baits, jigs and plastics. 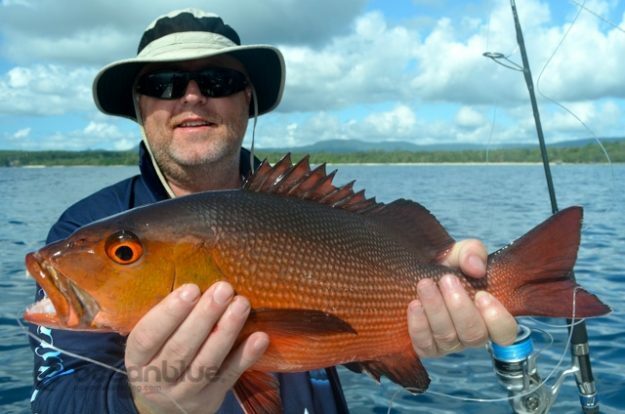 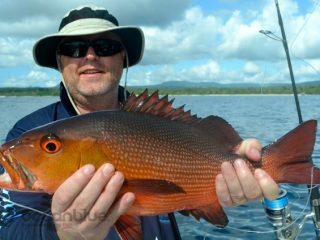 Jobfish, red bass and coral trout were all on the chew. 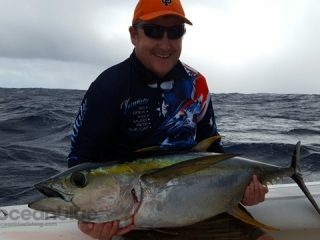 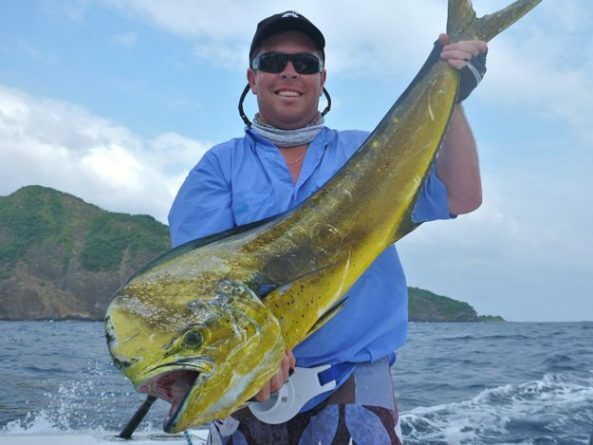 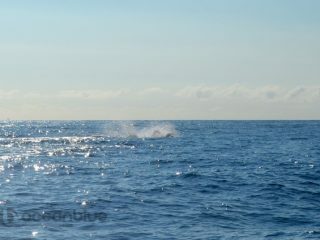 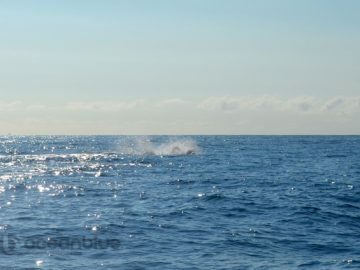 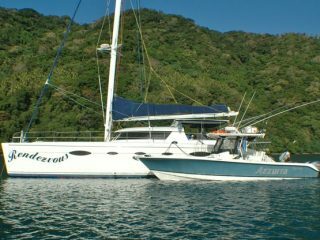 Yellowfin and the odd marlin were also a welcome distraction while taking a break trolling in between islands. 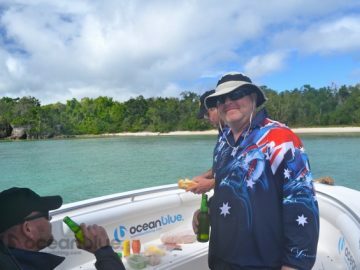 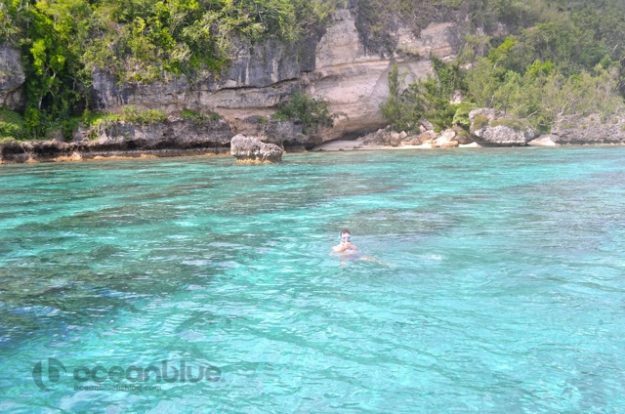 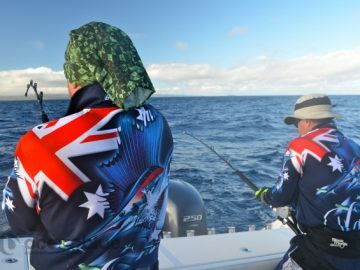 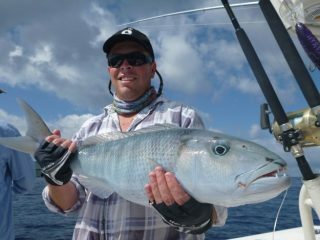 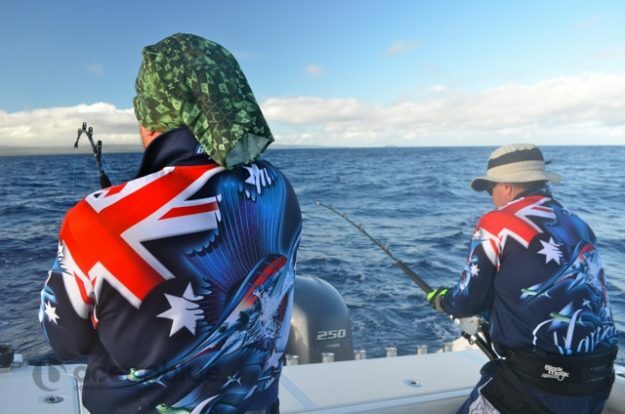 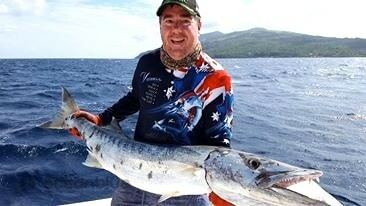 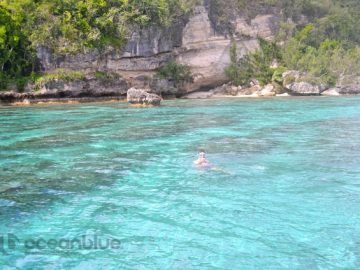 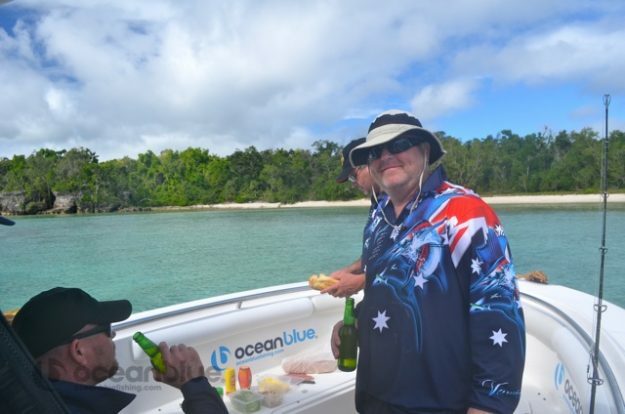 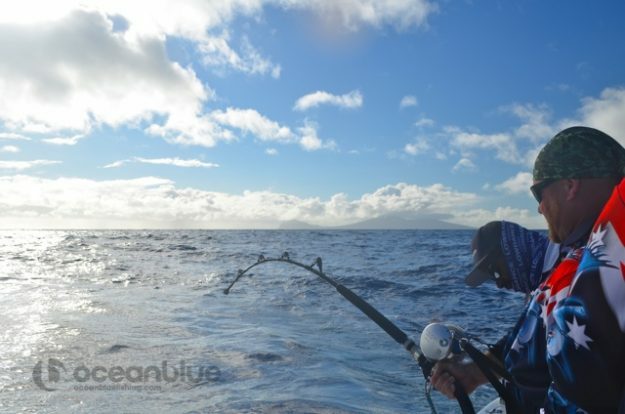 I fished with Ocean Blue as a paying punter. 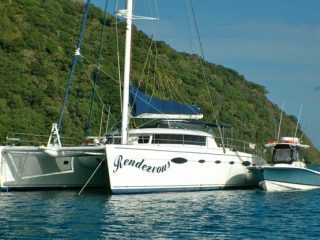 I’d highly recommend the mother ship operation. Every variable that can be controlled was excellent, the food was great, the boats are awesome, the mood on board was relaxed and happy and the fishing was great! 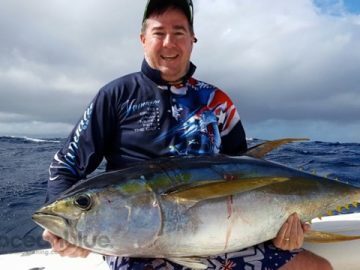 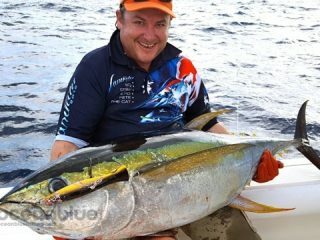 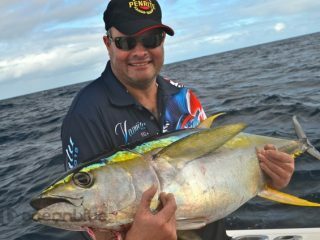 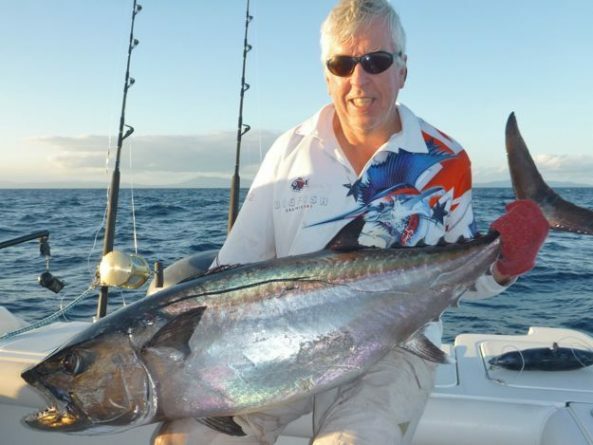 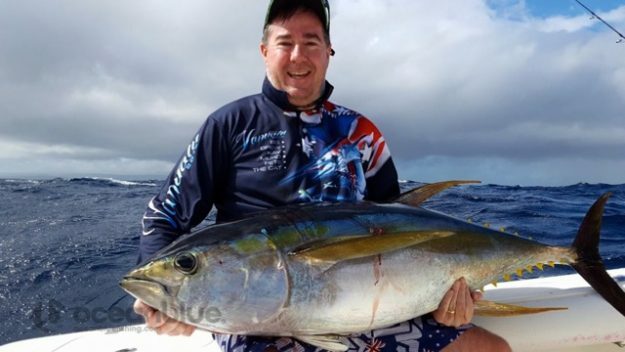 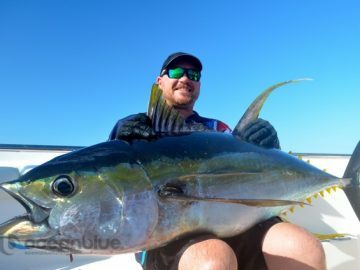 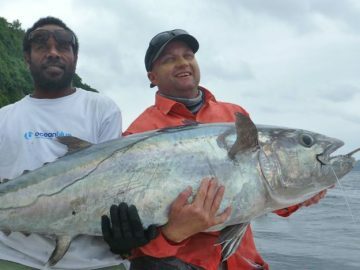 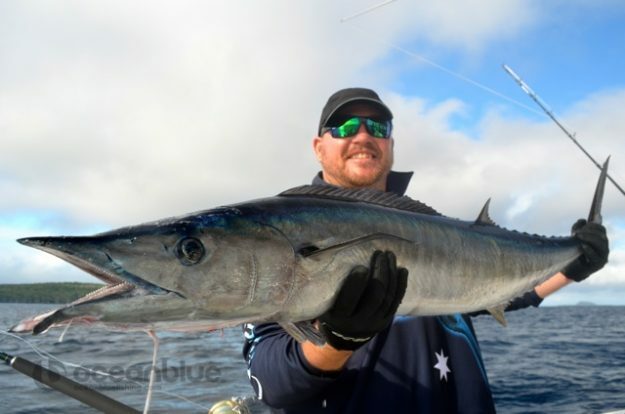 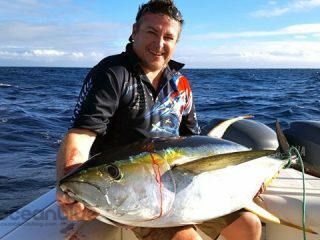 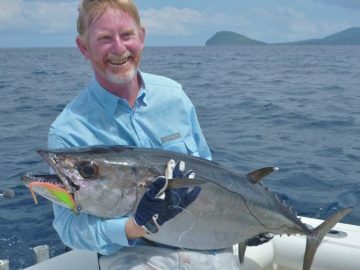 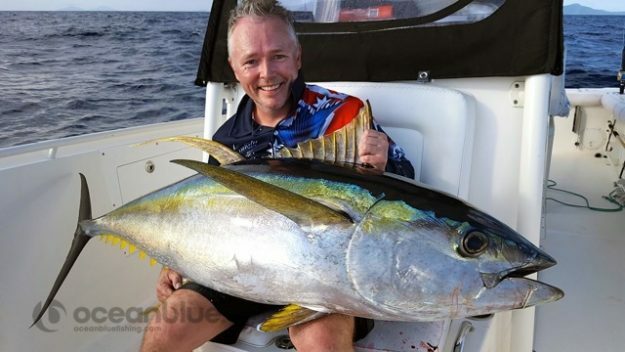 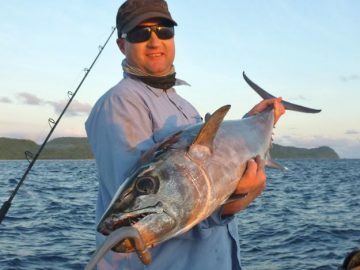 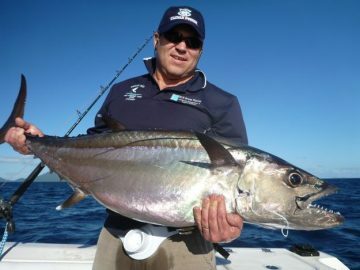 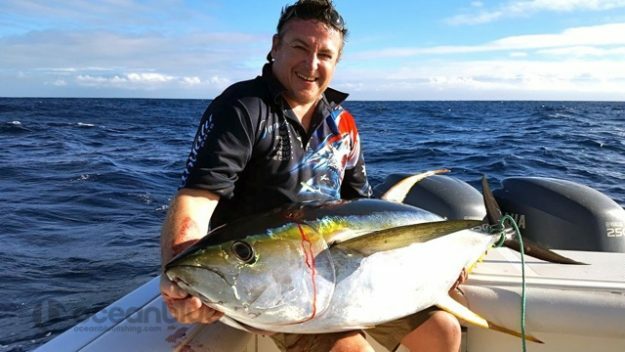 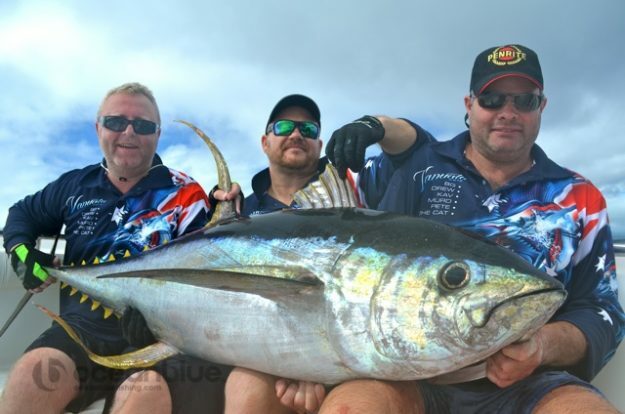 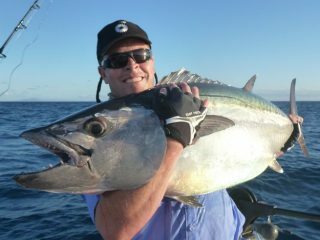 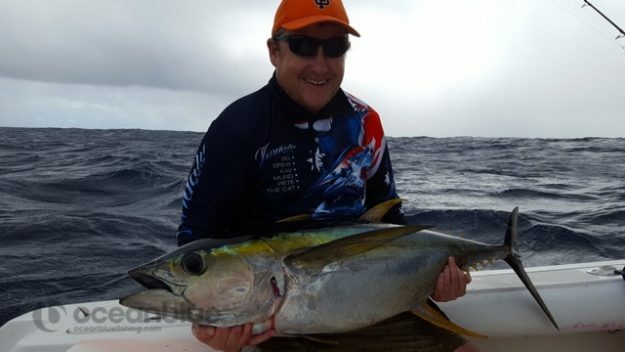 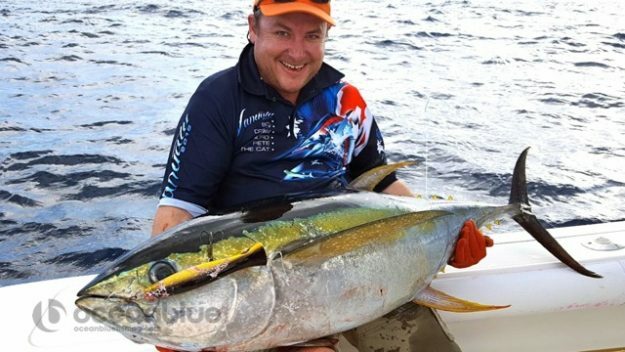 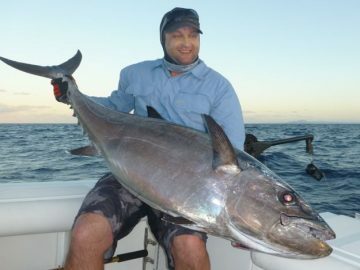 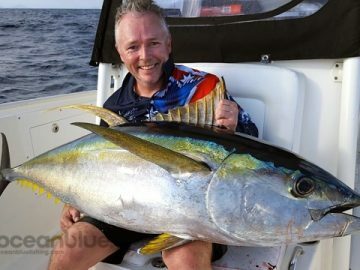 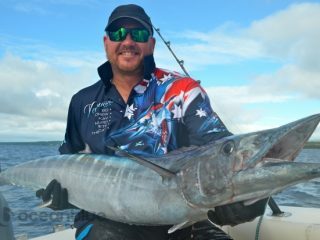 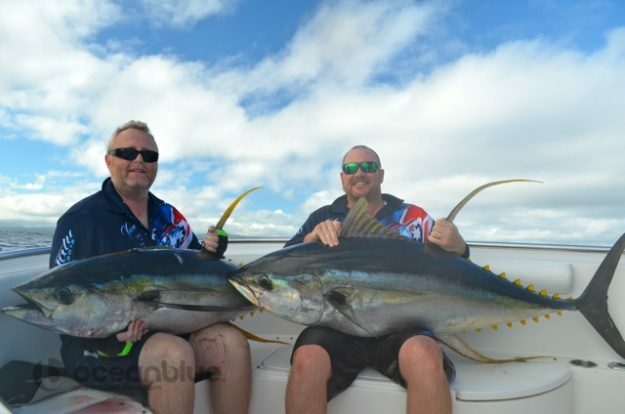 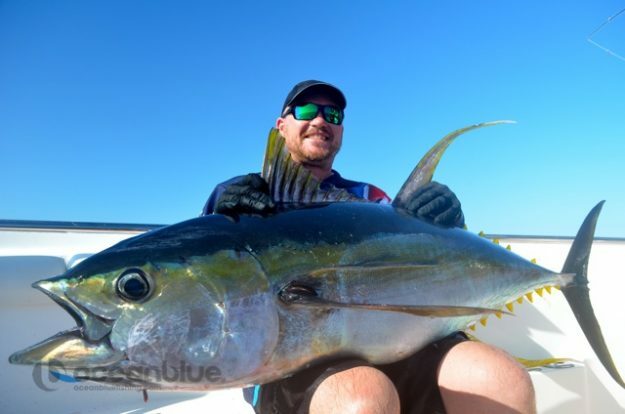 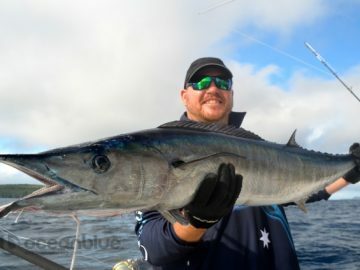 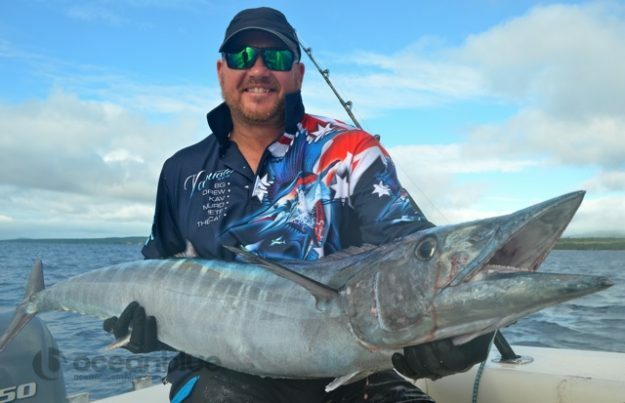 Dogtooth tuna are one of the toughest fish in the ocean on a jig rod, and after being smashed up, wiped out and destroyed by monsters we did manage a few hundred pounders, but I reckon there’s a few double that size that will need sorting out next year. 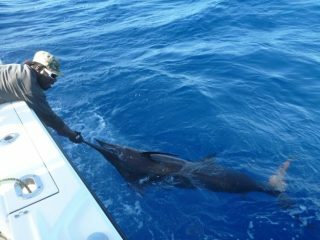 I’ve been to lots of places but this trip was up there with the best of the best and the big cat makes a great mother ship. 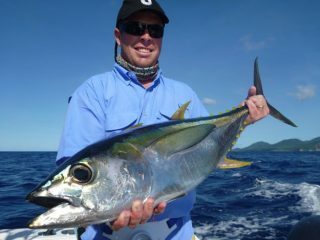 A five star operation that I have no hesitation recommending, and a totally professional operation. 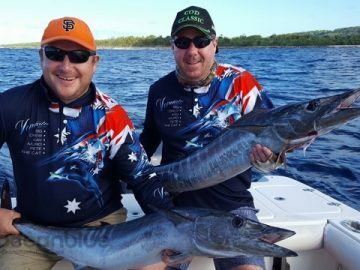 Hadn’t seen Eric Festa for 20 years and it was great to fish with him again! For those who wish to experience these exploratory expeditions we have 3 spots still available on our next trip this coming October. Why not treat yourself to a great experience!